Notes: Nov. 1953←Dec. 1953→Jan. 1954 Vol 52, No 4. Discussions of the ancient South American civilization books is continued in the following issue. 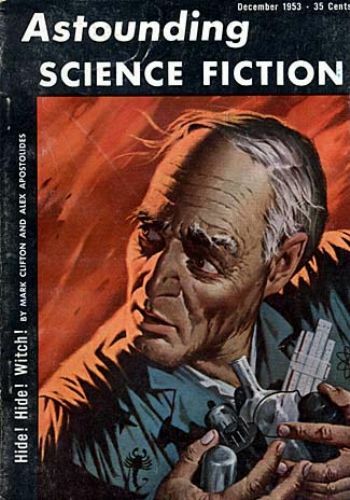 Editor Title: Astounding Science Fiction - 1953 • [Astounding / Analog (1937-1971)] • (1953) • edited by John W. Campbell, Jr.